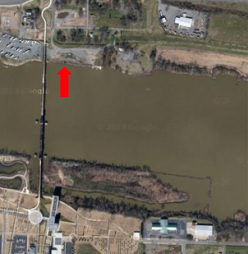 Over 500 Feet of Prime North Little Rock River Frontage For Sale! At the Eastern Landing of the Clinton Presidential Park Bridge, in the heart of North Little Rock's Argenta Neighborhood! Existing 100-Foot Corp of Engineers Approved Sheet Piling Pier for Boat and/or Barge Traffic! *Another 4+ Acres Contiguous to the Property May Be Available.